Blowhorn provides logistics solutions for a wide variety of customers, ranging from large enterprises to small convenience stores. 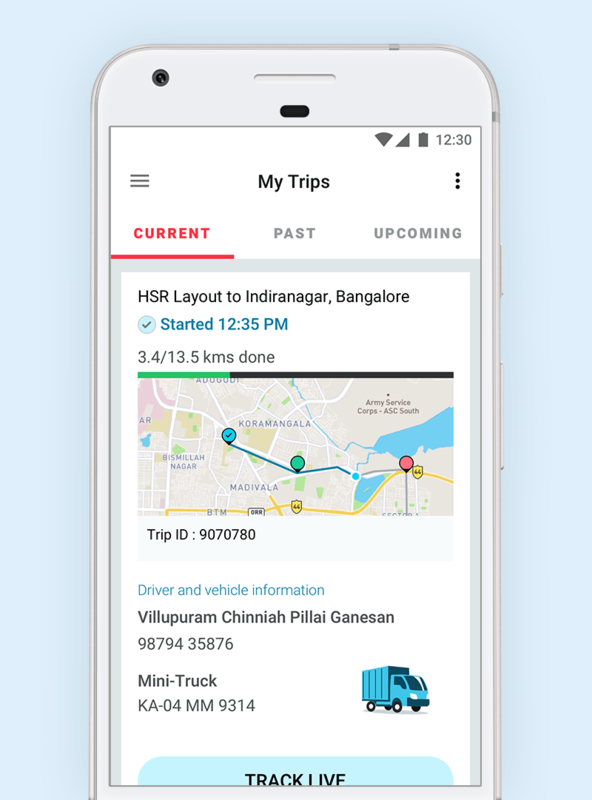 It brings together a network of truck owners and consumers using its tech-enabled platform. Blowhorn received close to Rs 25 crore in funding in February 2017 from prominent investors including Draper Associates, IDG Ventures. Operating in 5 cities, Blowhorn currently has a team of 160 and generated Rs 17 crore in revenue in 2016-17, raising it to around Rs 37 crore in 2017-18. I have helped Blowhorn define their user-experience since they were a 2-man startup. Being the only consulting designer in the team, my role was to build user-interfaces that were scalable and reusable across consumer and enterprise spaces. The enterprise customers make up a majority of their business. So, the key UX challenge was to build workflows that enable users to book and manage trips quickly and effectively. 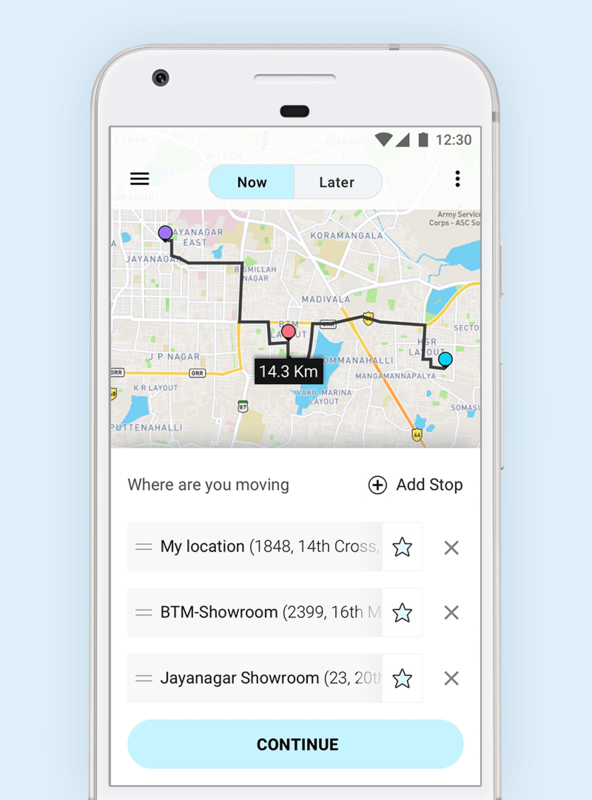 The customer app enables users to select a truck of their choice, and transport goods between different locations in a city. One can book a trip on Blowhorn in 3 easy steps. The app also enables users to add multiple stops within a trip and goods can be dropped off at each stop. Enterprise customers who own their own fleet of trucks, can use the fleet management portal to track their fleet live. Enterprise customers can also create hubs, routes and schedule recurring trips on these routes. 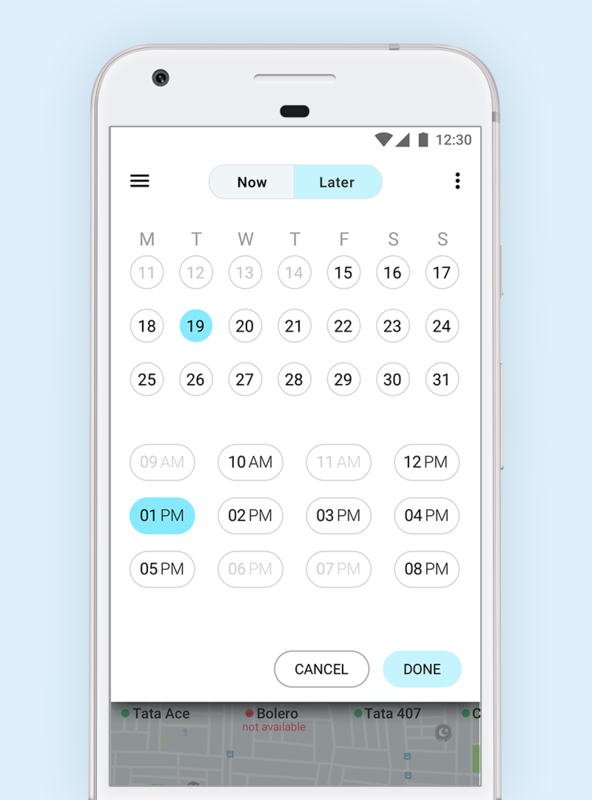 Being a fast paced startup, Blowhorn helped me learn to design and deliver user interfaces and workflows at a rapid speed. 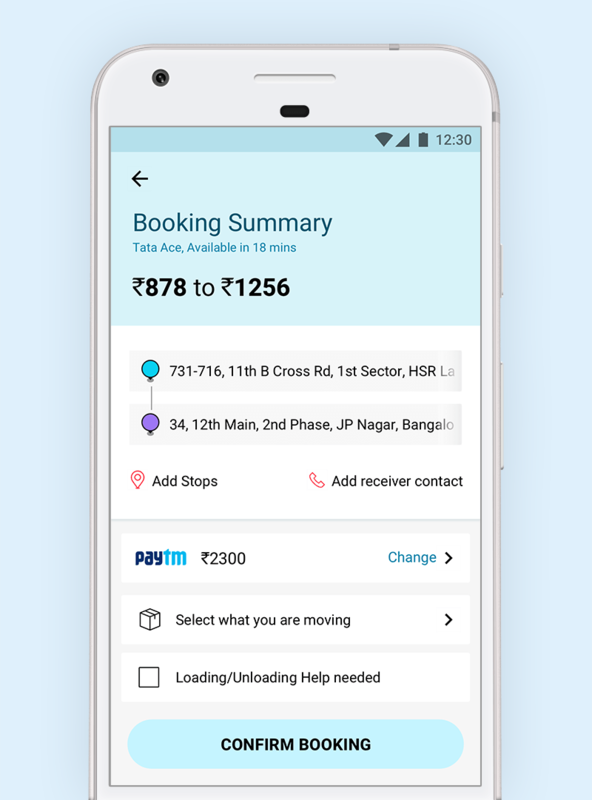 The logistics sector in India has suddenly exploded in terms of technology adoption and the customer base in the domain offer unique UX challenges. Being the only consulting designer also helped me in improving my collaboration with a large development team.